This company’s connection with North America began in 1873 with regular service between New York and Rotterdam delivering thousands of passengers to the Ellis Island immigration facilities. 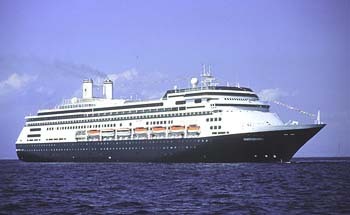 Now based in Seattle, HAL began offering holiday cruises in the 1960s and has established itineraries around the world. The company is especially strong in Alaska, where it began operating with the acquisition of Westours in 1971 and now has a totally integrated operation for its customers, owning a network of support services such as tour coaches, rail cars and hotels. HAL is also prominent in the Caribbean, where Fort Lauderdale is the line’s base port, and in Europe – both in the Med and Northern Europe. 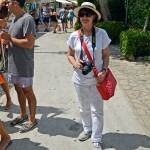 The line offers worldwide itineraries, including a classic, round-the-world cruise on the Rotterdam. Holland America’s Dutch officers and service staff of Indonesians and Filipinos have built a solid reputation of well-run, immaculate ships with a high level of friendly service. HAL ships cut a fine profile with their distinctive sheer and blue hull, and the ships’ interiors contain extensive artwork to complement each ship’s thematic decor.